← What is multi-channel retail? Too often, major supermarkets, such as Tesco, are blamed for the “death of the high street”. My belief is that larger, out-of-town retailers can be to blame for this: within towns, where supermarkets offer free parking and vital services, the local community is encouraged to stay local, rather than drive for miles to find a decent-sized shop. Unfortunately, many remain blind to the truth of a town-centre supermarket presence and stubbornly dig their heels in to prevent such developments, slowing down economic growth and much-needed regeneration! Independent retailers should feel reassured when big supermarkets choose their towns to set up shop. Without big supermarkets, shoppers are forced to travel elsewhere for their essentials, taking potential revenue with them to other stores and unwittingly draining the local economy of its lifeblood. Any retailer hostile to the prospect of investment by major chains is contributing to their own inevitable demise. Today, I applaud the incredibly bold move of one district council to enable a huge Tesco development in a Lincolnshire town. North Kesteven District Council (NKDC) has voted to use its compulsory purchase powers to acquire a strip of land from Sleaford Town Council, allowing the first steps to be taken in a major retail investment to boost the town’s economy and bring a new lease of life to the dwindling high street. The move unlocks an inward investment of some £100 million and is the first step in a domino-effect of economic development for a town which serves a vast rural catchment area. For years now the town council has staunchly refused to sell the land to Tesco, which plans to build a much larger Tesco Extra superstore – in a town which already boasts a Sainsbury’s, smaller Tesco, Iceland, Aldi and Lidl. Interestingly, and contrary to the claims of the negative campaigners, Sleaford still has several thriving independent butchers who have not suffered from the presence of major chains, due to the different quality products and customer experience they offer. Tesco plans to construct a link road on the acquired land to open up parts of Sleaford that were previously inaccessible to vehicles. Thanks to its investment, the development will provide access to a much-loved historic building, The Maltings – one of the UK’s largest Grade II* listed sites and at risk of collapse if left undeveloped. This will allow the existing site to be utilised by other retailers, adding much-needed variety to the small but rapidly growing Lincolnshire market town. The short-sightedness of the town council, coupled with an irrational and emotive view on Tesco, has meant that many of the local business community have been waiting with baited breath for NKDC to step in. The town has been held to ransom by the small-minded town council – a group of people whose outmoded perspective on society would result in no change and no development in a town with huge potential. Personally – and bearing in mind I would always campaign for the benefit of the independent stores – I have found the whole situation incredible! Currently, the local community (some 20,000 homes are within the catchment area) has to travel 17-20 miles to find many of the basic goods and services that Tesco Extra will bring. Notably alternatives are not currently available in the town. As I’ve already pointed out, as shoppers have to make that journey, they will then most likely complete all of their purchases out of town. Why would anybody, especially independent retailers, want those customers to take their money elsewhere, away from the local economy? Tesco Extra will safeguard and create 430 much-needed jobs and add 600 free car parking spaces not more than five to ten minutes’ walk from the town centre. The superstore will ensure local people aren’t making a near-40-mile round-trip for their household essentials and will keep them close to home. Most importantly, as touched on above, Tesco’s development is the start of a chain reaction of inward investment that will see Sleaford receive £100 million of improvements – more per capita than any other town in the whole of the EU, not just the UK! I’d like to remind people that Tesco and other major retail chains aren’t always the enemy of the high street, and their presence certainly doesn’t indicate the death of local businesses! Carefully planned and considered development can be the catalyst necessary to bring a town back to life from its death throes and transform it into a thriving, buzzing community. That’s certainly the view of Tara Hurst, who, in partnership with her daughter, Sadie, chose Sleaford as the location for her new start-up boutique, Beatty-May Vintage, earlier this month. Tara produced a university dissertation on “Tesco towns” and knows that when the investment is made, communities can be transformed. She says, “If it wasn’t for Sleaford’s master plan, we wouldn’t have chosen to set up shop here. There are a few people against the Tesco development, but we’re all for it. We offer what Tesco can’t so there’s no threat, only the promise of more shoppers on the high street. Our products are unique so we don’t worry about supermarket competition. If you’re an independent retailer opposed to this type of change, you should take a good look inwards at your own business before pointing the finger at others for your failings. You could very well be too busy blaming business rates, competition and chain stores for your decreasing success, instead of looking at what you need to be doing to be relevant to the changed consumer. So many refuse to acknowledge changes in footfall, which show a 26% decline in traditional opening hours but an increase in shoppers when the independent outlets are all closed! Moaning about competition, online shoppers, out-of-town retailers, rent, business rates and lack of footfall can be fair, but surely this energy could be better invested embracing online strategies, e-commerce, social media and mobile, and opening when customers will actually visit the store? Moves like this are more likely to create greater revenue, from which the heavy overheads such as rent and rates can be paid so they become less of a problem. So stop whining and find solutions – apathy will kill your business off long before business rates do! I always say, “Don’t compete on price; compete on service”. If a major supermarket range poses a threat to your products, make sure your products stand out. You’re unique: give the consumer a reason to visit you, and a reason to come back in the future. Get the best quality and the best merchandise; offer the best customer experience; give the biggest smile. Most importantly, don’t be a dinosaur – seize opportunities offered by advancing technology and understand what your customer wants and how that’s going to change. As the founder of the Support for Independent Retail campaign, I’m passionate about small, micro and independent businesses, and I’m well aware of what’s needed for high street regeneration, hence why I created the Future High Street summit. 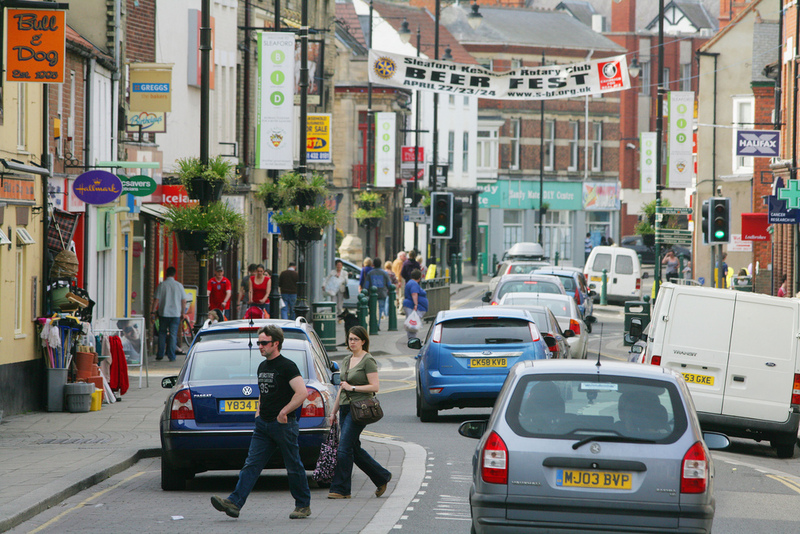 We need more councils who are willing to risk their reputation, and considerable cost, in order to ensure that high streets and town centres all over the UK get the benefit of much-needed regeneration, which in turn will help to create a real upward spiral for the local economy. More importantly, we need independent retailers who embrace big players’ in-town investments and evolve with changing trends to keep shoppers on our high streets! This entry was posted in News, The Retail Champion and tagged economic development, future high street. 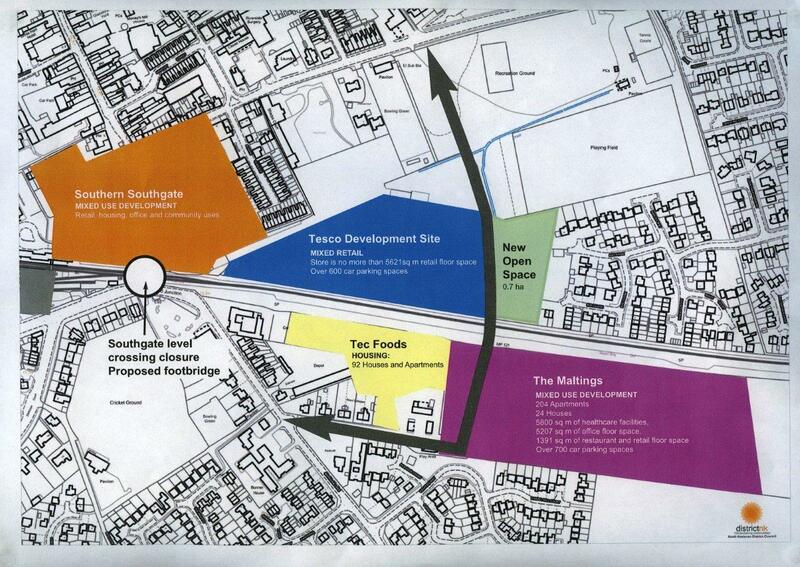 tesco, high street, regeneration, sleaford, sleaford regeneration, tesco development, town centre. Bookmark the permalink. Understand the thrust of your argument, but don’t forget the impact on the smaller villages nearby that will be hit. Ruskington, for example, has a small but vibrant local ‘high street’ with a butcher, greengrocer etc, but how will they be impacted by customers jumping straight in to their cars and driving to Tesco in Sleaford, bypassing the retailers in the village? I’m in a village outside of Sleaford myself, and about to sign a lease on a new office in the town, and I always try to shop local (that’s why this is my next big thing – http://www.independentretailermonth.co.uk) but in reality there is at least a weight of argument so much more in favour of this development, not really JUST for Tesco (which isn’t my personally preferred supermarket anyway!) but for the access to the Maltings, the improvements to the crossing and the opportunities to redevelop the existing site. Perhaps that will be the catalyst Lincolnshire Co-op need to sort out the precinct too! With the HUGE increases in housing planned right in Sleaford I can’t see how the town’s existing retail proposition could sustain the demands of that increase in population, so, and I really do hope and believe this, local retailers should not fear IF they continue to provide great service, convenience (local!) and great products!